Sorry I haven't posted sooner, guys! I meant this to be a 16 week update, but something happened that changed my life forever, and I took an emergency break from blogging. Then I got sick with a cold, fever, and what I think was bronchitis (coughing and chest pains). I'm hoping to do a pregnancy update every 2-4 weeks - I haven't decided how frequently I should update. What do you guys think? 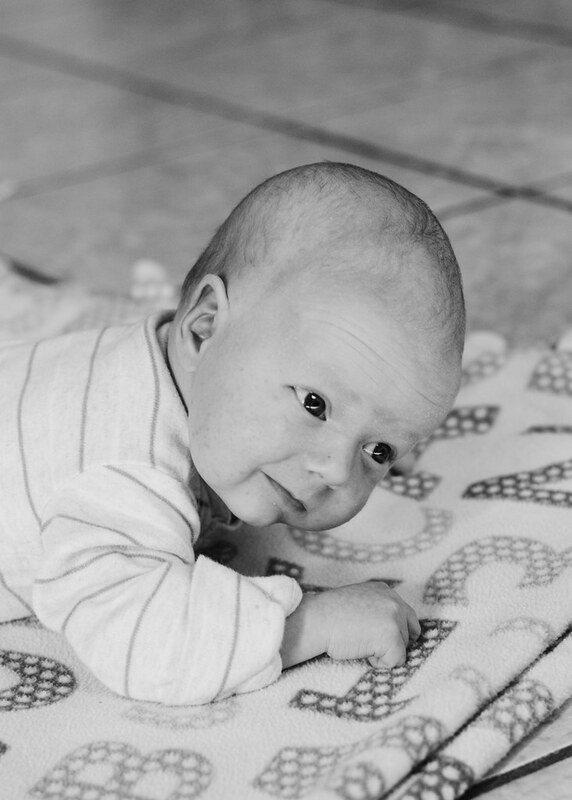 I met with my midwife for the second time on Wednesday, and everything is going well. I have pretty low blood pressure - 90/56, if I remember correctly. And my placenta is on my right side. My belly is definitely starting to show, but it's still at an awkward size. People that don't know I'm pregnant probably think I'm a bit tubby. Ha! Weight this week: 117 pounds. I was 111 pounds right before I got pregnant. I was actually losing weight the last few weeks because of stress/sickness. My midwife said she'd like to see me gain a bit more weight. I'm actually exactly the same weight that I was at this point last pregnancy! Measurement around waist: 28 1/4". My waist was 26" when I was 4 weeks pregnant. Measurement around belly: 29 1/2". It was 27 1/2" at 4 weeks. How big is baby? According to BabyCenter, baby is about 5 1/2 inches long and 7 ounces, about the size of a bell pepper. Maternity clothes? Most definitely. I started wearing maternity jeans about a month or so ago. I waited longer last pregnancy, mostly because I didn't have any maternity jeans. But they are so comfortable on a growing belly and sensitive bladder (sorry, TMI!). My regular jeans still fit me just fine, but if you can feel like you're wearing PJs all the time, why not? I purchased some maternity skinny jeans from thredUP (use my link to receive $20 off your first order). I'm definitely going to be purchasing more maternity and maternity-friendly items there. And I might post some maternity outfits here on Simple Days. Movement? Yes! I wondered if I felt the baby move about a month ago, and I was sure about 2 weeks ago. I can feel it most if I lay on my stomach or if something presses against my tummy. Cravings: Nothing major. Sometimes pickles. Fresh fruits and veggies. Aversions: Fast food (it leaves a bad taste in my mouth), and some Mexican food. Aches/Pains: My back was hurting pretty badly when I slept during the first trimester. It has gone down a lot, probably because I'm sleeping less at night. I've been needing to use the bathroom a lot more frequently. And my energy is definitely down. I also had some gas/bloating during the first trimester - I don't remember that being an issue when I was pregnant with Helen. Sleep: During the first trimester, I was so tired. I was sleeping about 10 hours every night. Now I can't seem to sleep more than about 8 hours. Fitness: Right before I got pregnant, I did a Whole30 and Jillian Michael's Ripped in 30. I noticed towards the middle-end of the 30 days that I was getting more tired. I figured it was because I was doing Whole30, but I think it was because I was pregnant (and didn't know it yet). I've had to dial back the intensity of my workouts because I just don't have the energy. I try to work out 4-5 days a week. I would be fine with only working out 3 days a week, but unless I try to work out every week day, it doesn't seem to happen. That's what works for me! I haven't been able to work out for the past 2 weeks because of sickness/being busy. Hopefully next week I can get back into a routine. Maybe I'll do a post about my prenatal fitness routine. Also, I've been *trying* to drink about 6 cups of water a day. Supplements: I've been taking the Vitamin Code Prenatals, desiccated liver pills, cod liver oil, and an extra vitamin E supplement. My midwife suggested that I take extra vitamin E until the third trimester to help prevent another placental abruption. I'd also like to add in a probiotic and a vitamin K supplement. Here are my progress photos from weeks 6-18. I know there's not much difference between the first 3 photos, but I figured I show you guys anyway. So that's my 18 week update! I hope you are all doing ok, whatever happened! Sickness during pregnancy is the worst, even if you use natural remedies in any case. 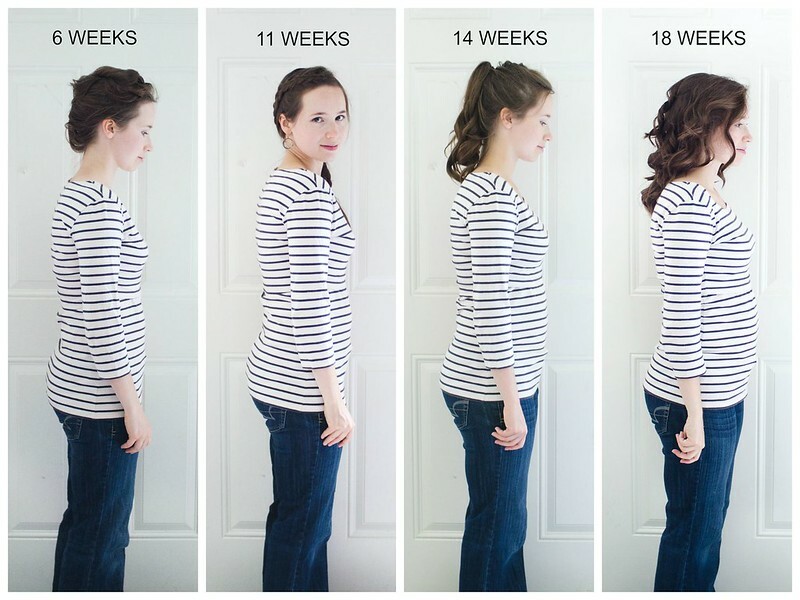 I felt the baby move around 14 weeks this time as well - it seemed really early but I was positive, which made me a little paranoid until right now when I'm feeling more distinct kicks (same as you :).